The Azores are well-known among ornithologists mainly for the fact that many American bird species occur, mainly in fall. 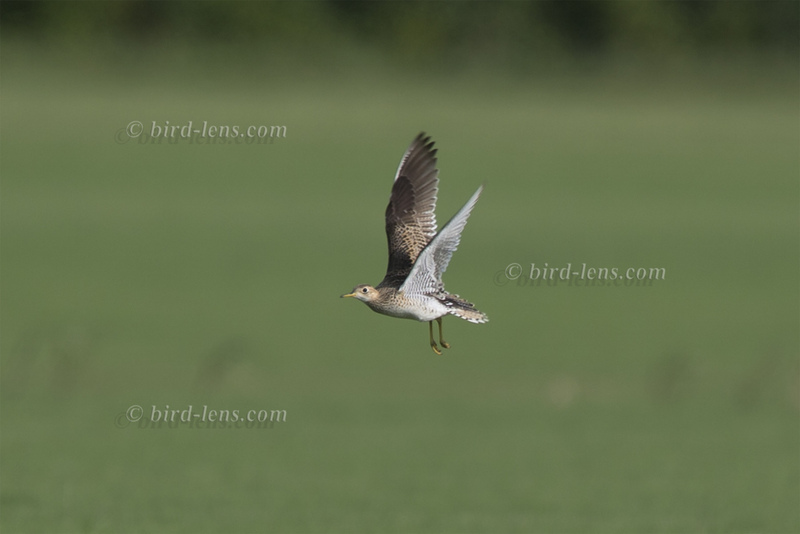 Although this group of islands is part of the Western Palearctic (even Europe) on some islands, more Nearctic than Palearctic species have been found. In addition, several endemic taxa breed on the archipelago. The island group is particularly important for seabirds, which breed partially in large numbers. 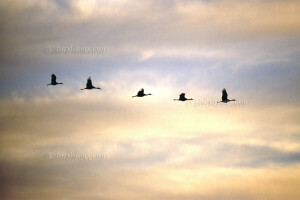 Migration of Seabirds in fall is another highlight. 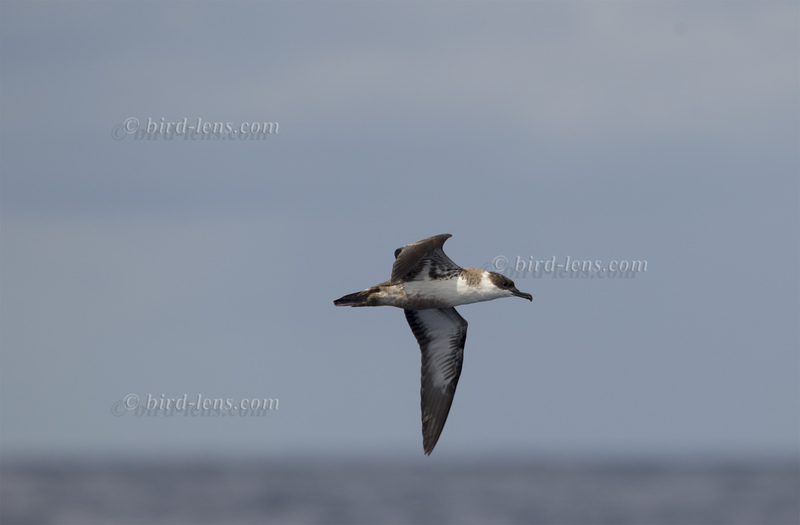 A sighting of a Cory’s Shearwater (Calonectris borealis) is guaranteed. 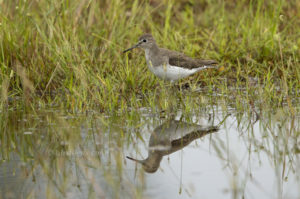 Whereas long-distance bird migration for aquatic bird species is roughly understood there are other movements of birds between especially the lower Paraná River valley wetlands in Argentina, and the south Brazil/Pantanal wetlands which are far from clear. Besides the fact, that the global patterns of Summer/ Winter north and south of the equator determines the arrival and departure of arctic migrants and Patagonian guests, there are two major inherent factors which drive birds moving in and out the Pantanal. The one is the regular change in flooding and dryness or even droughts. The other factor is the different food mix embedded in that pattern of seasonal flooding. Whereas most birds move in with the floods in September/ October others move in when the floods retreat using food resources e.g. on small pools left after the waters has covered the most part of the Pantanal. A good example are the Jabirus, Jabiru mycteria, big storks, which are not present in the Pantanal during the flooding season. Obviously they move to higher grounds to sites outside the Pantanal area. Availability of food for the adult individuals to raise their young are the driving factor. 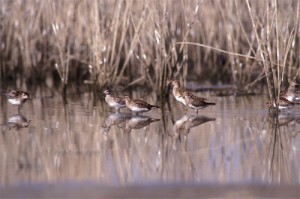 The birds prefer low water levels, especially in lagoons and ponds, in order to obtain the food they can catch with their specialized beaks. Besides by watching for preys while walking they also hunt by tactile prey location, thanks to the sensible bill tip. 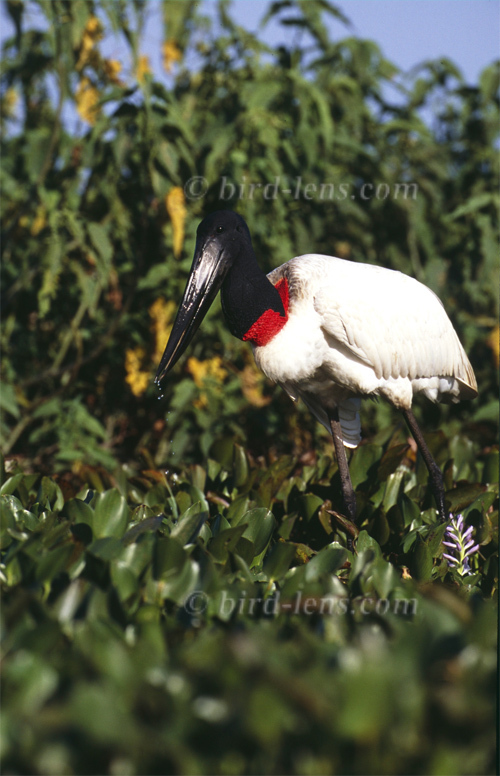 The Jabiru feeds on various aquatic preys such as fish, molluscs, crustaceans, amphibians, snakes, even young caimans and insects. 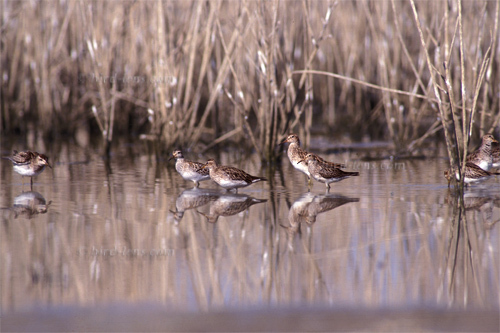 They walk slowly in shallow water, regularly stabbing and pecking at preys with the bill. One of their fish species preferred are mussum fish (Symbranchus marmoratus), which can stay dormant and encapsulated in the mud throughout the dry season. They are reactivated by the humidity of the rain and start to swim again when the water rises in the rainy season. The Jabiru is a specialist in detecting and catching the dormant fish in the muddy ground of the dried ponds. Another example of birds using the environmental conditions during the dry season are huge concentrations in nesting sites in the gallery forest, to take advantage of the seasonal resources available. The breeding colonies are formed by hundreds of nesting birds, such as Wood stork (Mycteria americana), egrets (Snowy Egret, Egretta thula, Great White Egret, Casmerodius albus and the Capped Heron, Pilherodius pileatus) and the Roseate Spoonbill, Ajaia ajaja. In this gallery you will find some more examples of bird moving in the Pantanal or adjacent Southern Brazil or migrate to these wetlands.